Innovative Billet Aluminum Motor Mount Kit - Pann Auto Performance - San Diego largest aftermarket automotive performance parts - What do you drive? Innovative Billet Aluminum Motor Mounts are Machined from 6061 Aluminum. 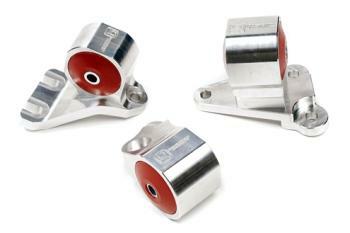 Innovative Billet Aluminum Motor Mounts are the highest quality motor mounts available for your Honda or Acura.